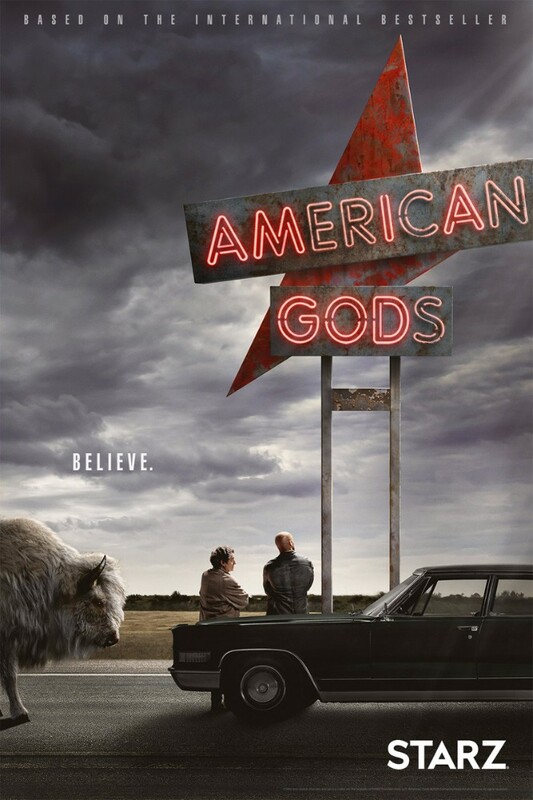 American Gods is an American television series based on the novel of the same name, written by English writer Neil Gaiman. The TV series premiered on the Starz network and through their streaming application on April 30, 2017. The logo of the TV series features its title in the retro & neon style lettering, which is very similar to Neon Light Alphabet Font by Epifantsev. The vector font is available in EPS or JPG format. The alphabet font in turn is very likely designed based on the font VAG Rounded Bold created by Gerry Barney and published by Linotype. If you are looking for free retro and multi-liner style fonts like the lettering, you can check out these fonts: Argon, Monoton and Neon Glow. The Neon Light Alphabet font identified above is not available for free, please follow the link above and purchase the font. Meanwhile, you can take a look at our collection of fonts for cars, pop music and apparel as well as round-ups of new & fresh fonts around the web. In addition to American Gods, It seems we can’t find other examples (logos, movie posters, album covers etc.) of Neon Light Alphabet typeface in use.